I’m Going Hunting- This one is good memory practice and reinforces the alphabet. You could vary the game, but choosing a theme (things in your bedroom, a classroom, etc.). It may be helpful to modify this for younger kids by drawing a picture for each item, only choosing words from your word wall, etc. This game is played in a circle. One person in the circle starts the game by saying, “I’m going hunting and I’m taking a(n) __________ (item that begins with the letter “a,” e.g., arrow).” The next person has to repeat what the person next to him or her said and then add something new from the next letter in the alphabet (e.g., “I’m going hunting, and I’m taking an arrow and a bow”). Keep this going around the circle until someone cannot remember everything he or she is to take. That person is out [or you start over, so no students are the loser]; see if the next person can complete the phrase. You do not necessarily have to choose something that you would normally take hunting—it can be funny. 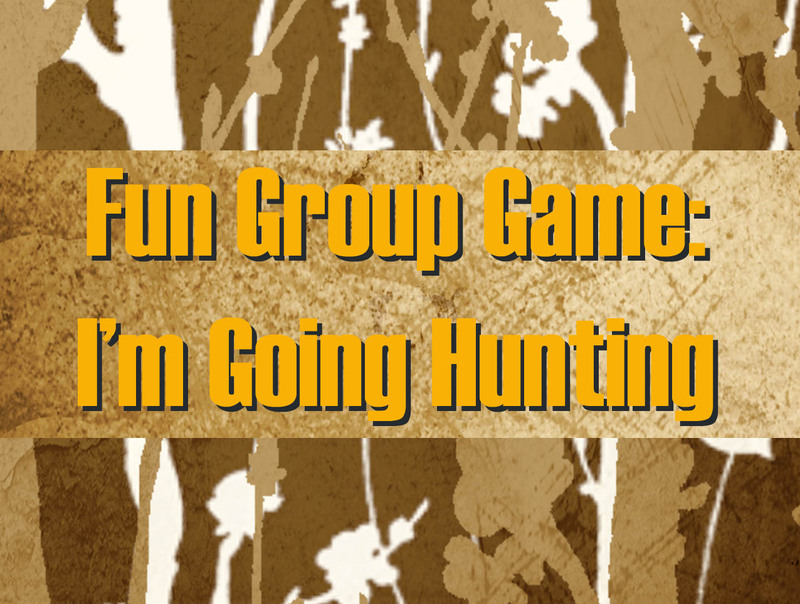 This game can also be called something else; you do not necessarily have to go “hunting.” You could call it “I’m going to [name of your school] . . . ,” for example. This entry was posted in End of the Year, Games, Word Study/Spelling and tagged Children, Education, Elementary School, Kids, Teacher Resources, Teachers, Teaching by Squarehead Teachers. Bookmark the permalink.